You find a number of open-air restaurants, street food stalls, carts and hawkers at the intersection of Sukhumvit Soi 38. Easiest way to get there is to take the sky train (BTS) to Thong Lo station. 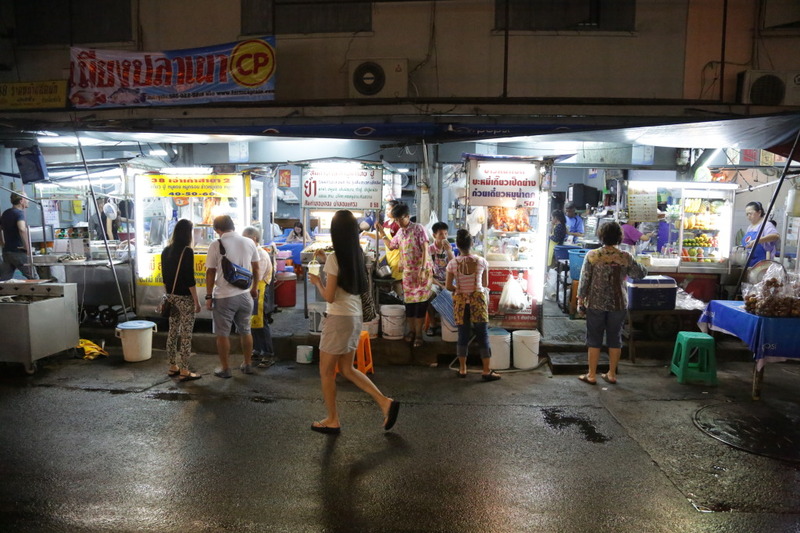 Soi 38 has a long reputation for decent street side dining. It is also one one the easiest street food areas to access by Skytrain. I suggest you go there as a good introduction to street food in Bangkok. order now Soi 38 is still operating, but with a different scene and set-up then for this review. Some vendors have moved and some new have arrived. 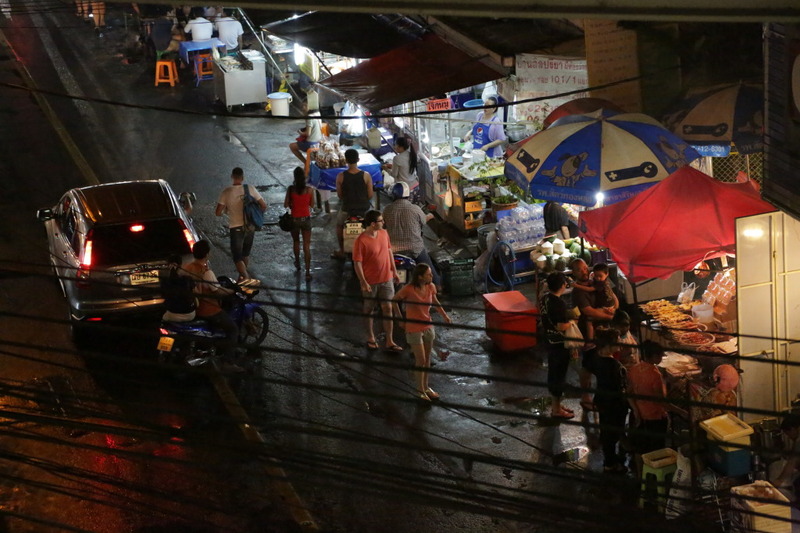 Soi 38 is not the main vain anymore as most vendors now are situated in the former parking spot of Sutti Mansion – (May 2016). The serving stretches along Soi 38 for about a 100 meters and is home to a wide variety of open-air Thai restaurants. The later it gets in the evening the more shops opens up on both sides of the street. A good time to show up is around 18:00 – 19:00. The cuisine is basic Thai and some Chinese influences. The food is served on folding and wobbly metal tables and you sit on plastic chairs. Traffic passes by at slow pace while you enjoy the food. Some restos are under solid roof, some not – a matter of interest during the later part of the rainy season. When you have decided on what you want, grab a table and order from the selection of stalls. 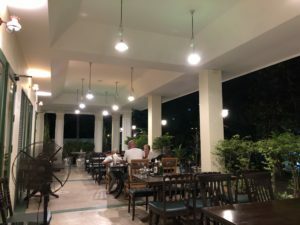 The owners don’t mind as long as you also order something from their menu, most of them are helpful in making sure the different orders are brought to your table. The better once even take care of the whole bill for you and make sure everyone gets paid. You find a good selection of dishes from kuay tiaow noodles to roasted pork to som tam papaya salad and you pay a fraction of what you would at the nearby trendy spots on Thong Lo (Soi 55) on the other side of Sukhumvit Road (Exit 3 from the BTS). It is also one of the better places in town to find delicious mango and sticky rice (ข้าวเหนียวมะม่วง khao niow ma muang). Near the entrance on the right side of soi 38 you find a cul-de-sac (dead-end street) with the popular “Pad Thai Fire Look” stall. The old man has a reputation for frying up some of the best Pad Thai dishes in town. But just before you step up to the old man and his Pad Thai you can take the opportunity to grab an iced drink with a variety of fruits including mango, lime, papaya and watermelon etc. at the very entrance of the Soi – sometimes they also have young, fresh coconuts. If you are in for a portion of noodles there is a cart close to the juice store that serves a delicious soup with crab meat from around 21:00. Just after the dead-end soi you find Joke 38 with its delicious rice porridge. I suggest you trow in a black fermented egg with your porridge. 50 meters down the road there is a food court with several vendors. Be sure to look around and not just go with the first menu that is dropped on your table. Don’t feel obliged to buy from all of them, just tell them what you want. You can find a good Rad Na (gravy) with fried noodles, kale and marinated pork that just melts on your tung, some tasty Red Pork over rice (Khao moo daeng) and delicious Som Tam (papaya salad) at Yam. If you don’t want the fresh and raw blue crab on your Som tam salad, order Som tam thai (only the vegetables and the dressing). 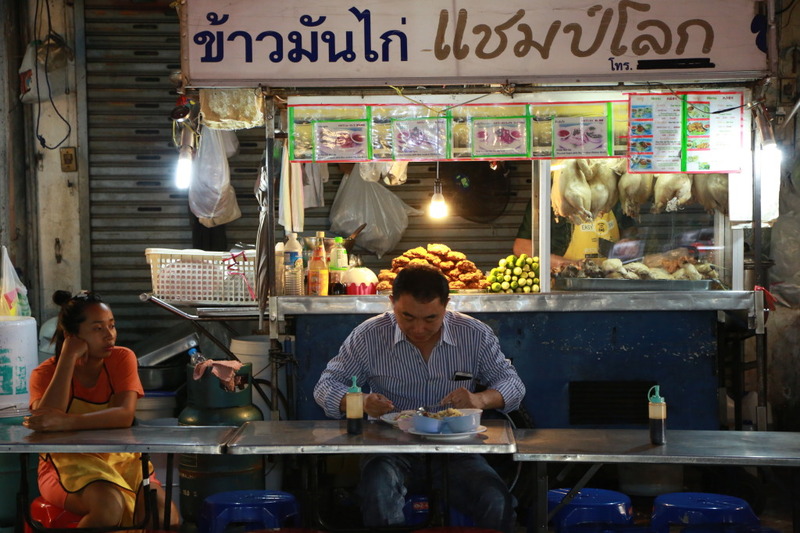 A good stall for dessert is the Mango and Sticky Rice stall on the left hand side of the road. It is run by two smiling ladies, serving up generous portions of flavorful mango and rice with coconut milk for 60 baht – a fraction of the price you will have to pay in the opposite Soi of Sukhumvit Road (Soi Thong Lo). click here Food: A wide variety of Thai food, including Pad Thai, Khao Man Gai (chicken over rice) and Khao Man Gai Ruam (fried and boiled chicken over rice), Rad na, Joke (rice porridge – with different add ons, like fermented egg), Crispy Pork, Red Pork, Som Tam (Papaya salad), thai sweets etc. http://www.santacruzpumas.org/research/ buy now Address: The intersection of Sukhumvit Road and Soi 38, Bangkok. Opening hours: Most of them opens around 17:00 – 18:00, but some later. Bear in mind that there are plenty of eating options in the Thonglor area on the other side of Sukuhumvt road. How to find it: Take the BTS to Thong Lo or use a taxi outside rush hours. Take exit 4 from the BTS, walk down the steps, then take an immediate 180 degree U-turn, and you are there. 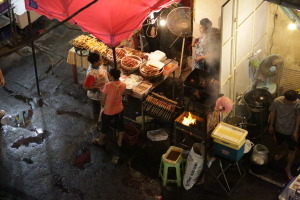 A number of open-air restaurants, street stalls and hawkers at the intersection of Sukhumvit Soi 38. Long reputation for good street side dining. I suggest you go there as a good introduction to streetfood in Bangkok. BTS to Thong Lor station. Sukhumvit Road (or Thanon Sukhumvit in thai) begins in Bangkok and runs through the heart of the city. Towards west it changes name to Phloen Chit Road and Rama I Road when it enters the Si am Square area. Go east and it runs most of the way to the Cambodian border. In Bangkok it serves as the main commercial street. The Sukhumvit area of Bangkok is easily accessible by the Skytrain Sukhumvit Line, which runs from Mo Chit through the Silom Line interchange at Siam Square up to Bearing. The Bangkok Metro’s Sukhumvit Station interchanges with the Skytrain at Asok station. The Sois are numbered from West to East, with odd numbers branching off North-East of Sukhumvit, and even numbers branching off South-West. The sois on the north and south sides of Sukhumvit don’t line up; for example, Soi 33 is opposite Soi 24. it can be a bit confusing that these sois also have names of their own (for example, Soi 55 is better known as Soi Thong Lo) and these sois can also have sois of their own (such as Thong Lo Soi 1). The area between Sukhumvit Soi 1 and Sukhumvit Soi 63 is popular as residential area for western expatriates. Japanese nationals tend to prefer from Soi 21 Asok intersection upwards, especially Soi Thong Lo. Soi 12 is occupied mainly by Indian expatriates. Soi 38 is a five minute journey with Skytrain from Asoke that connects the Skytrain and the Metro system. This was indeed very interesting information. I will use this as backround next time I go to Bankok.